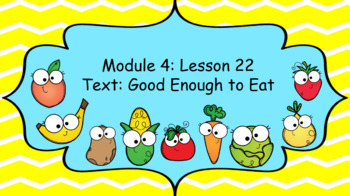 These INTERACTIVE slideshows cover lesson 22 of module 4 for Wit and Wisdom (2nd Grade Edition), including the 'Deep Dive', based on Good Enough to Eat. 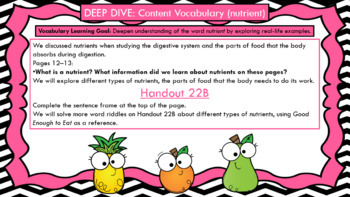 Each slide includes descriptors in the slide notes to help you follow along in your teacher's edition of Wit and Wisdom. 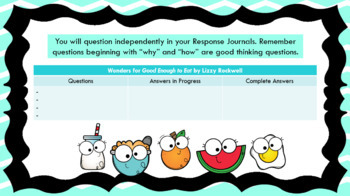 Many slides are interactive and allow you to add input from your students as they respond to questions. 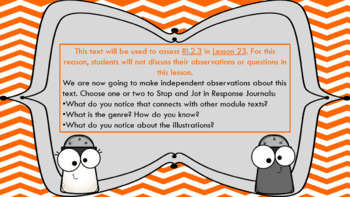 Use these slides to keep your students engaged and help pace your instructions.